The Alix metal basin is the latest in contemporary Italian bathroom design. This metal sink is designed to be installed on a counter top. 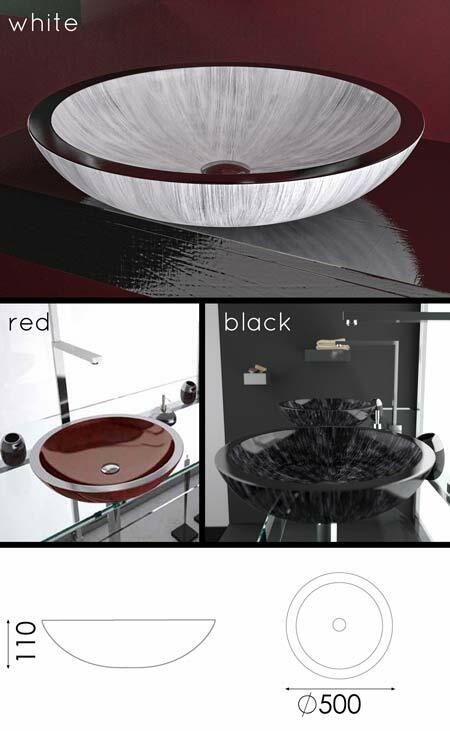 Each basin is made of an aluminium alloy mix with a gloss bi-chromatic surface effect, which is available in white, red and black finishes. Please note these metal basins are made to special order and 3 to 4 weeks should be allowed for the delivery. Each aluminium bathroom basin includes the chrome waste. * Latest European metal designs. * Made of a aluminium alloy. * With bi-chromatic gloss finish. * Basins in white, red & black.